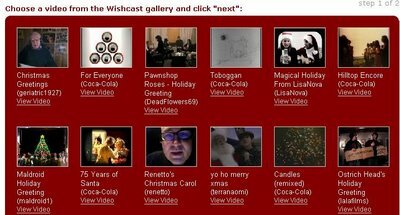 Don't send an e-card this holiday season when you can send a v-card (video card) courtesy of YouTube and Coca-Cola. There's a limited selection of videos currently, and most of them are Coca-Cola ads, but you can upload your own if you want. Customize it with a personal message, and you're done.